There are 49 Pro-Life Senators, 87 out of 100 profess to be Christians. Not one Pro-Life Senator is a Democrat. Not one Pro-Life Senator is Jewish. Only 3 Pro-Life Senators are women, Senator, Joni Ernst of Iowa, Senator Deb Fischer of Nebraska and Senator Kelly Ayotte of New Hampshire. There are 225 Pro - Life Representatives out of a total of 435 members, 211 of them claim to be Christians. There are no Pro-Life Democrats in the House of Representatives and only 1 Jewish Pro-Life Representative in the 114th Congress, Lee Zeldin of New York. 363 total Representatives profess to be Christians while only 225 are Pro-Life! That means 138 Christian Representatives are either pro-abortion, they have a mixed voting record on abortion or their record is yet unknown. Only about 62% of the professed Christian Representatives in the 114th Congress are Pro-Life. Put another way, 38% of the professed Christian Representatives in the 114th Congress are pro-abortion. In a recent Gallup Poll (May 15, 2013), 48% of Americans call themselves pro-life. According to another Gallup Poll, 78% of Americans identify themselves as Christians, which explains the high percentage of Christians in the Congress. These numbers say a lot about Christianity. First, it says that Christians in general are not serious about their faith. Second, it says that American politicians reflect that sentiment. See where the 114th Congress stands on abortion below. Click on the individual states and see with a quick glance who is Pro-Life and who is not by color code. Green is Pro-Life, red is pro-abortion, yellow is a mixed voting record and gray is an unknown record. This table shows all 100 Senators of the 114th Congress. The information on this table was acquired from 2 separate sources. The Representative's States, names and religious affiliations were mainly taken from Wikipedia. Their positions on abortion were taken from Project Vote Smart. You can click on the links in the table to find out more about each individual. Religious affiliation is an important component to these charts because those who profess a belief in God should know better than to be Pro-Abortion. Knowing this information can help those of us who are similarly affiliated, apply pressure to those elected officials to change their stand on abortion or not re-elect them in the future. Every effort has been made to determine the religious affiliation of each of the Representatives. However, in some cases the information is not available. When you see "Other" in the Religion box, it means that the individual is neither a Christian, Jew or Muslim or their religious affiliation is not known. What is considered to be a Christian? There are many Christian denominations or sects. The determination as to whether or not someone on this list is a Christian was made by the individuals. If it is their belief that they are Christians, for this table they should be considered as such. The idea is to hold these individuals to the standards of the faith in which they profess. Project Vote Smart - Every candidate and elected official from President to local government can be easily and instantly accessed. Each US State has its own elected officials. Volunteers are needed to identify these officials and their positions regarding abortion, just as I have done with the US 114th Congress. Good research skills, access to and a working knowledge of a spreadsheet program such as Microsoft Excel will be necessary. If interested, please contact me for more details. This table shows Senate Statistics with regard to their positions on abortion according to gender, religious affiliation, and political Party. 49% of the US Senate is Pro-Life. 8% of the US Senate has a mixed voting record, while 43% of the US Senate is Pro-Abortion. 87% of the US Senate claims Christian affiliation. 9% of the US Senate claims Jewish affiliation. 20% of the US Senate are women and only 3 of them are Pro-Life. Of the 49 Pro-Life Senators, only 3 are women, Senator Joni Ernst of Iowa, Senator Deb Fischer of Nebraska and Senator Kelly Ayotte of New Hampshire. All claim Christian affiliation and all are Republicans. There are no Pro-Life Democrats in the US Senate and only 3 Democrats with a mixed voting record. There are no Jewish Pro-Life Senators. 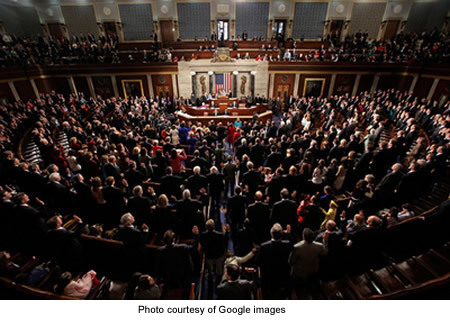 This table shows all 435 of the Representatives of the 114th Congress. This table shows House of Representative Statistics with regard to their positions on abortion according to gender, religious affiliation, and political Party. About 52% of the House of Representatives is Pro-Life. About 8% has a mixed voting record, while about 39% is Pro-Abortion. About 83% of the House of Representatives claims Christian affiliation. About 5% claims Jewish affiliation. There are no Pro-Life Democrats in the House of Representatives. There is only 1 Jewish Pro-Life Representative, Republican, Lee Zeldin, District 1, New York.